cubaguantanamo.com | Want to know before you go? Official Cuba Guantanamo information and guide, get facts and latest news. Guantanamo is geographically Cuba’s southeastern most point, an exceptionally beautiful, natural and large subtropical bay surrounded by vibrant vegetation and a unique semicircle of low slung mountains. To the West of the province you will find the semi-desert “Los Cerros de los Monitongos” mountains. Renowned nationally as the driest place in Cuba, its unusual climate and terrain looks more like the Gobi desert than part of what is essentially a tropical Cuba. This unique microclimate brings with it a unique range of animals and plant species, all endemic to this tiny area of Cuba. Conversely, to the North East are the wettest mountain ranges in Cuba featuring, unsurprising, the largest rivers in all Cuba. Caimanera is a tiny fishing village and port of 10,600 people. Soaring over the West shore of the sheltered Guantanamo Bay, the village is also just north of the US GTMO naval base. The Caimanera port ships predominantly salt, sugarcane and coffee. Residents of this remote, southeastern community of narrow streets and weathered ramshackle houses are the closest Cuban neighbors to the US military base GTMO. Guantánamo province, whose area covers over 6 184 square kilometers (75 percent covered by mountains) is Plethoric of history, crossed from south to north by 75th Greenwich west meridian, which governs the time in Cuba. Guantanamo’s highest peak is La Cana Hill, in Imías, at a breathtaking 1174 meters (3,851 feet) above sea level, but the most famous peaks are the El Yunque and El Pan de Azucar. Not far from the latter lies the above mentioned Cuban semi-desert region which lays: sprawling along the Caimanera-Maisí coastline. This region is Cuba’s area of most droughts, raining only once or twice a year. However, it’s a real botanical garden of Cactus flora and xerophytes, accessible to tourists thanks to the stunning Via Azul highway and the amazing La Farola viaduct, which make it much easier to get to this unique place directly from the city. Of course we cannot speak about Guantanamo with thinking of the inspired Joseito Fernández composed song of “Guantanamera”. Probably the world’s most recognized Cuban song. Amazingly, the Via Azul highway and the La Farola viaduct were completed in just over a year and open to traffic on July 26, 1965, the route crosses from south to north of the Nipe Sagua Baracoa mountain massif and is an amazing drive if you rent a car in Cuba. Imias is a coastal village offering one of the regions principal tourist attractions, the Cajobabo Beach, which has become a shrine and National Monument due it being the place through which José Martí and General Máximo Gómez landed on April 11, 1895, to participate in the War of independence, which was both the last and the decisive Cuban battle against Spanish colonialists. Guantánamo offers many things for all tastes, both for those who prefer the lush environment and stunning mountain ranges, or those who are seduced by the provincial charm of the oldest Cuban urban center. While visiting Guantánamo, travelers can opt to visit the tropical rainforests of Alejandro de Humboldt National Park. 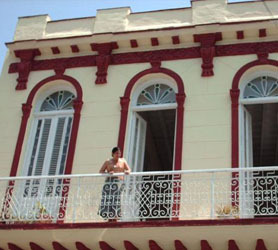 Music lovers can visit the historic Victorino Rodriguez Trova House. Overall, Guantanamo has some of Cuba’s most breathtaking scenery and underlying cultural roots. As an added curiosity there’s the now infamous GTMO American Naval base which is clearly visible from the bay and surrounding mountains. Looking for a Hotel in Guantanamo Cuba? Below is a complete list of hotels that are actually in Guantanamo. This list of Hotels in Guantanamo only includes those hotels which are in the city and province, which includes: City Center, Guantanamo City, Near GITMO, Baracoa, Leeward Point Field and Nipe Bay in guantanamo Province. Booking Guantanamo Hotels with our Fast Booking program means you can check rates on all Hotels in guantanamo and compare rates across all suppliers. Booking your Hotel in Guantanamo is then simple. Choose the hotel, best rate applicable and confirm using any major credit card from any nation. 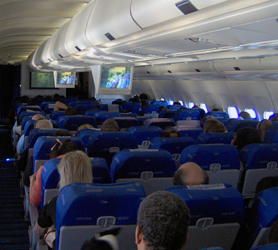 Your credit WILL NOT be charged until check-in and there is no need to take the credit card used in the booking process with you to Cuba. All guantanamo hotel Reservations are 100% guaranteed as confirmed with the hotel and a confirmed booking code is issued directly from the hotel. Below is a list of every hotel exclusively in guantanamo. You are guaranteed the lowest rate on your guantanamo Hotel stay along with payment in 32 currencies including USD, Euro, CAD, Yen, and many, many more. The list of guantanamo Hotels below is a complete list of every Hotel in guantanamo. Immediate confirmation of all Hotels is assured if available right now. Or maybe you’d prefer a Casa Particular in guantanamo? Get behind the wheel and take full control of your trip to Guantanamo Cuba and rent a car! 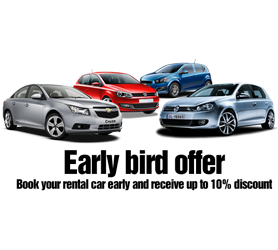 We have some incredible Guantanamo Car rental offers from economic cars to the latest sport convertible models. 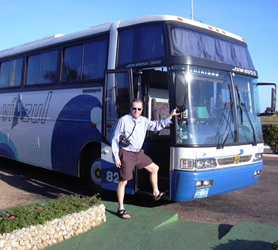 We also offer 7 and 9 seat minivans in Guantanamo Cuba, especially for larger groups or families. Booking your Cuba Car Hire in advance is crucial to your trip and, by checking our rates and availability you’ll be able to find the car to suit your budget and ensure it is ready and waiting on the exact day and time you choose. Book with your car in Guantanamo with Havanautos, CubaCAR, REX or Via Rent a Car now to avoid setbacks or unnecessary unplanned costs while you’re in Cuba. Our exclusive Cuba-One-Way® program also caters for those of you who wish to collect your Cuban rent a car in say Guantanamo and return it in another city, ensuring that your exact itinerary starting from Guantanamo is organized in advance. A Casa Particular in Guantanamo or home stay in Guantanamo City Center or just outside Guantanamo will ensure you experience both the wonders of Guantanamo’s amazing culture, immersed in one-on-one contact with your Cuban hosts in the historically acclaimed city. Learn about Guantanamo’s rich history, together with true Cuban hospitality. The owners of your casa particular in Guantanamo speak fluent English and have a profound knowledge of the city and its many sights. Any questions you wish to ask will be answered instantly by the Cuban family you are staying with. Some of our casa particulares also offer meals and drinks, meaning you’ll get to try some authentic Cuban food also. Here is a list of just a few Casa Particulares in Guantanamo which can be reserved online through us. See all Casas in Guantanamo Cuba! Guantanamo Cuba Mobile phone network coverage is very good these days. Some areas of Guantanamo just outside Baracoa may offer limited coverage but overall it’s good. Unless you use a US mobile operator it’s more than likely that you will be able to use roaming in Guantanamo but this can be expensive. 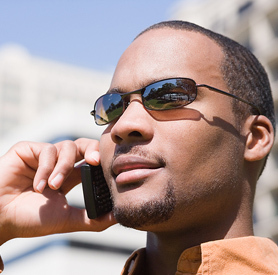 Staying connected in Cuba at a better rate will mean obtaining a Cuba SIM Card throughout your stay. Using cell phones in Cuba and Guantanamo is then much like anywhere else in the world where you can purchase Cubacel prepaid SIM card and use this anywhere in Cuba. You can purchase these prepaid Cuba SIM cards at the offices below and also recharge the phone with credit at these locations. Also, many hotels and stores in Guantanamo offer prepaid recharge cards should you need to do this on the go. 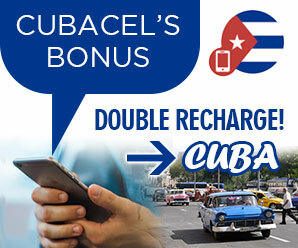 If you have a credit card there are often Cubacel double recharge offers but to obtain these you will need to go on the internet as they are never available directly at Cubacel Offices in Guantanamo Cuba. GPRS, Mobile Internet & 3G connections can also be used in Guantanamo Cuba. Cuba offers mobile internet to cell phone users with almost 100% national coverage but, this is more expensive than you are accustomed to and the network can be slower in Guantanamo Cuba than other countries. If you decide to take your own mobile phone to Guantanamo Cuba, please be aware that it will need to be unlocked and operate on the 900 to 1800 MHz GSM frequency. Almost all mobile phones produced since 2005 are quad band and as such will work but, please check your owner manual to avoid disappointment. Plaza Mariana Grajales is the largest public square in with a huge and ostentatious Monument in honor of the Cuban Heroes, glorifying the Brigada Fronteriza that defends the supposedly advancing trench of socialism on the American continent. Yes this large monument dominates Plaza Mariana Grajales at just under 1km northwest of the train station and opposite Hotel Guantanamo. It’s one of the more impressive ‘Revolution squares’ on the island. Oddly enough, this is an immense green space in a city where there are very few parks at all. You’ll see locals playing dominos, arguing about baseball and simply “living” at the Plaza Mariana Grajales.